Huawei held a launch event in London yesterday afternoon and used the platform to launch four new smartphones which will form the Huawei Mate 20 Series. The phones come in a wide range of (large) sizes, and other design considerations to appeal to various market niches. However, there are a number of features common to the series, such as; the Huawei Kirin 980 SoC, a triple-camera Leica lens equipped Matrix Camera system, a FullView display (with notch), large battery capacities, fast charging and wireless charging, and the Android P-based EMUI 9 OS. "The Huawei Mate 20 Series is designed to be the best 'mate' of consumers, accompanying and empowering them to enjoy a richer, more fulfilled life with their higher intelligence, unparalleled battery lives and powerful camera performance," said Richard Yu, company CEO. 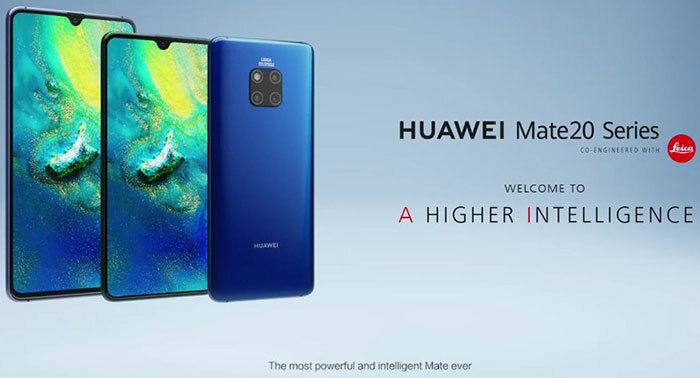 Huawei believes that the new Mate 20 Series sets a new bar by which all 2018 smartphones will be measured. The 6.53-inch LCD screen equipped Huawei Mate 20 (4GB + 128GB configuration) will have a MSRP of EUR799 and the Huawei Mate 20 (6GB + 128GB configuration) will have a MSRP of EUR849 from 16th October, 2018. The 6.39-inch OLED screen equipped Huawei Mate 20 Pro (6GB + 128GB configuration) will have a MSRP of EUR1049 from 16th October, 2018. The 7.2-inch OLED screen equipped Huawei Mate 20 X (6GB + 128GB configuration) will have a MSRP of EUR899 from 26th October, 2018. 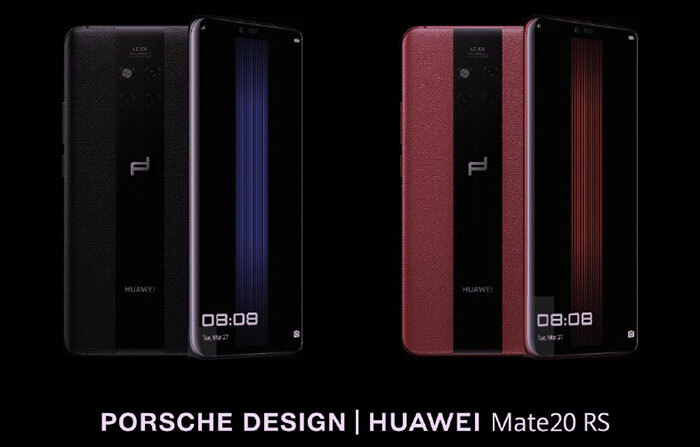 The 6.39-inch OLED screen equipped Porsche Design Huawei Mate 20 RS (8GB + 256GB configuration) will have a MSRP of EUR1695, and the Porsche Design Huawei Mate 20 RS (8GB + 512GB configuration) will have a MSRP of EUR2095 from 16th November, 2018. As mentioned in the intro, all these devices are based around the capabilities of the Huawei Kirin 980 SoC. This 7nm processor includes 6.9 billion transistors and boasts Arm Cortex-A76-based cores, Mali-G76 GPU, and dual-NPU. These SoC components are said to be 58 percent more efficient (CPU), 178 per cent more efficient (GPU), and the 182 percent more efficient (NPU). The CPU has three tiers consisting of two ultra-large cores, two large cores and four small cores. Furthermore, the SoC supports the 4.5G LTE Cat. 21 standard, allowing consumers to experience download speeds of up to 1.4Gbps. With the more efficient SoC, Huawei says the bettery life available to users of these phones is "groundbreaking". In specific examples, the Huawei Mate 20 Pro houses a large, high-density 4200mAh battery, and supports 40W Huawei SuperCharge, which gives the device 70 per cent charge in 30 minutes. 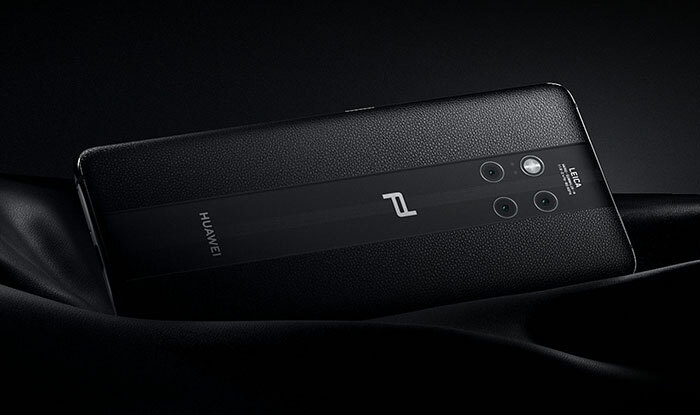 The sizable Huawei Mate X sports a 5000mAh battery and uses a cooling system based upon graphene film and vapour chamber tech, as Huawei reckons that it is a good gaming device. supports AIS (Huawei AI Image Stabilisation). The 'standard' Mate 20 has the following three lower-spec Leica cameras in the back array: 12 MP (Wide Angle Lens, f/1.8 aperture) + 16 MP (Ultra Wide Angle Lens, f/2.2 aperture) + 8 MP (Telephoto, f/2.4 aperture), supports autofocus, supports AIS. There is also a selfie camera with 24 MP, f/2.0 aperture, and support for 3D depth sensing* (with face unlock *on the Pro and Porsche models). Samsung launches Galaxy A80 with rotating triple camera Pair of Google Pixel 3a phones spotted in Play Store leak Huawei will be allowed to build parts of UK's 5G network Huawei launches P30 and P30 Pro smartphones in Paris QOTW: Which feature matters most when buying a mobile phone? Wow and i thought Apple is trend maker, 2100 euro for a phone, sheesh. EDIT: Now i see more clearly, this is without VAT, put another 20% VAT (most EU countries have) and you get 2500 EURO. OMG this is insane, this has to stop…. Meh. The only interesting thing is that the camera focal lengths seem to be more useful IMHO than some similar phones. …“better portable gaming machine with only gaming pad on one side.”…Give-Me-A-Break !!! Soon, when phones require more than one mortgage to purchase, we shall have ALL THE NOTCHES! BWAHAHAHAHAHA!